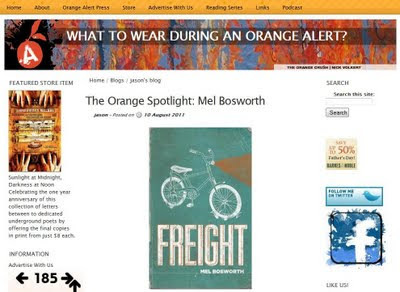 "The way Mel describes this freight is so physical, so real, so vivid that you can also begin to feel the weight, the movement, the churning of the bits and pieces of our past loves, hates, tears, and smiles. This book allows you to attempt to quantify your baggage." Read the entire review HERE. 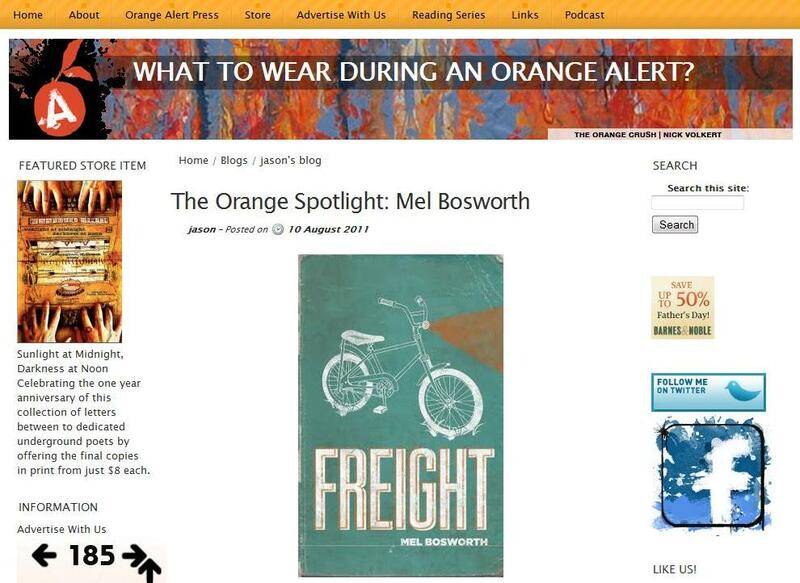 Very big thanks to Jason & Orange Alert. Also, check out this recent post about Lollapalooza 2011 HERE.